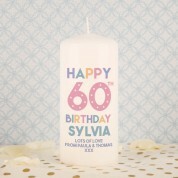 What better gift for a special lady in your life on her 60th Birthday? Whether a friend, Mum, Auntie or Grandma, anyone will be thrilled to receive such a unique gift. 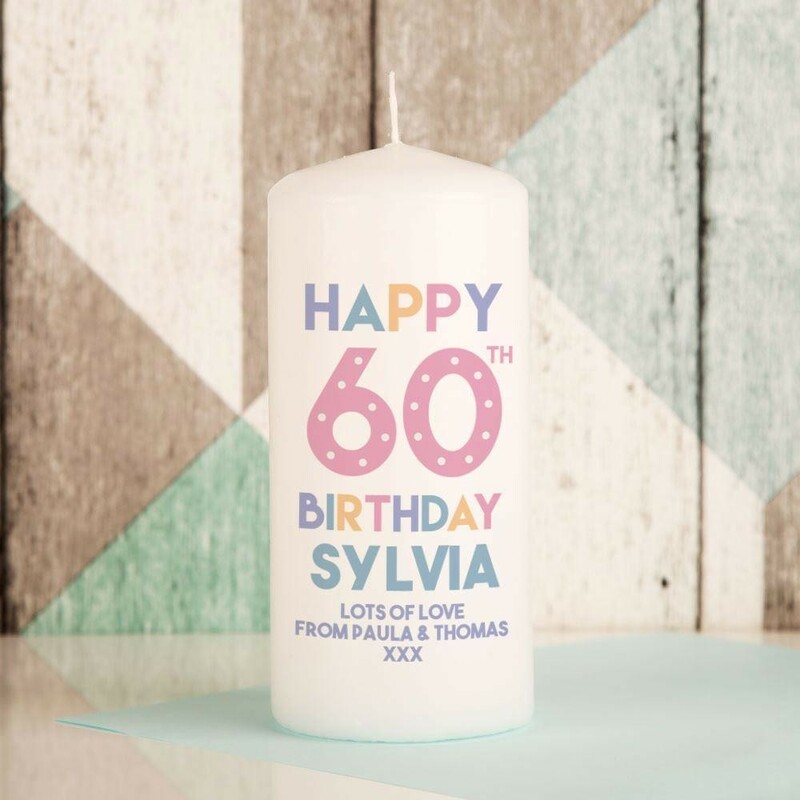 Our white pillar candle is printed & personalised for each recipient. 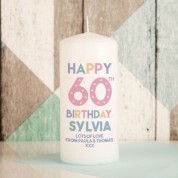 It features a colourful design which reads “Happy 60th Birthday” followed by her name. There is also space for a short personal message, making it truly unique for her. The pastel pinks, blues and soft yellow will make it pop wherever it is placed. It will look lovely sitting on the table while she entertains guests on the big day. 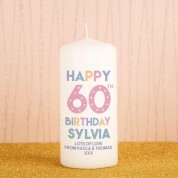 Alternatively she can tuck it away as a special keepsake in its luxury, organza drawstring bag.